A former Blackpool FC football star has been summonsed to appear at court, say police. Trevor Sinclair, 44, of Victory Boulevard, Lytham, has been summonsed for alleged offences of Driving while Unfit through Drink, Assault on a Police Officer, Section 4a Racially Aggravated Public Order, Failing to Provide a specimen for analysis, criminal damage and disorderly conduct in a police station. 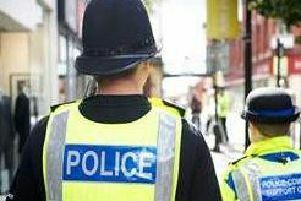 Police were contacted at 8.45pm on Sunday, November 12 to a report of a disturbance at a house on Victory Boulevard in Lytham. Officers say they attended the property and found a man had already left the property in his car, a Tesla X60d. A short time later officers reported they had found the driver and vehicle which had been involved in a minor collision with a woman pedestrian on Clifton Drive. Police say Sinclair was also arrested on suspicion of assault and a separate criminal damage matter but will face no further action in respect of those matters. He is due appear at Blackpool Magistrates’ Court on December 19.